Game anniversaries are a little weird. The anniversary we’re celebrating now for Final Fantasy XIV is from its relaunch, not its original launch. For that matter, it’s not exactly a stunning development; if you start counting from zero you’ll reach five years eventually. But it feels like a milestone for the game, a chance to regroup, evaluate what’s happened over the past year, gauge what went right and what went wrong, and offer some speculation about the year ahead. You know, the same way we do every year at this point. This year has been rather back-and-forth, I feel, even though very little of that is due to actual content. 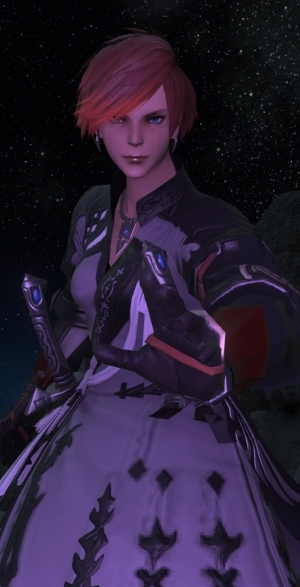 The quantity and quality of content seems to have remained largely constant all through Stormblood thus far, but there are some places where the game feels more uneven than it has in the past, and there are strong flairs of discontent from players in areas that don’t always make a whole lot of sense to me. Or if they do make sense, at least seem… off, just the same. I think, at this point, you can really define the past year by Eureka. Which is a brilliant bit of meta-commentary, a reminder to players about what’s being requested, and also something many people dive into while loathing every minute of it. Eureka and Pagos are very much throwbacks to the older style of content in Final Fantasy XI and even bits of 1.0. That is intentional, I’m sure. And I feel as if they’re a useful bit of comment for the people decrying the fact that the game isn’t more like that, a reminder that approach isn’t actually super fun all of the time. I think that it’s a good thing to have in there. I even find it fun, under the right circumstances! As an upgrade method, it’s certainly less obnoxious than chaining FATEs for Atma and such. It’s also, well, grinding and tedious. And for many players, this is just an unpleasant hoop to jump through in order to get that upgrade and that dyed artifact gear. Eureka as a whole feels like a missed opportunity. The meta-commentary is neat, the idea behind it is neat, but the actual feel in play isn’t always a lot of fun, and it rewards a playstyle most of the world has rightly moved on from as mandatory. Moreover, it offers nothing for anyone beyond the people interested in grinding; compare it to Diadem, which had something interesting for gathering and crafting as well as some lighter combat. Well, that’s just it. It’s familiar. We’re hitting that point in any expansion when people get a little more bored, just because we know the format, we know the new jobs, we’re accustomed to the pace. And while I don’t share any frustration with Eureka, I can understand where it comes from. In short, it’s not that this past year was bad; it’s that a lot of it trafficked upon repacking familiar things and becoming more familiar. This is fine in and of itself, and I think if people were more fond of Eureka as a whole, it would have gone over better. It’s an interesting take on doing an open-world area, much like Diadem, but I feel like having nothing but Eureka might not have been the best way to handle things. While there are rumblings of discontent, I think a lot of them come down to being in the part wherein we all know the next expansion is on its way. There’s no mystery about that; November will see another expansion announcement. (Once we’ve gone through our next patch we’ll probably even know where we’re heading, although it’ll be subtle.) If 4.3 (just like 3.3) was the “heart” of the expansion, the next two patches are the transitional action to our next destination. Not that this is a bad thing; it means that we’re going to see firm wrap-ups to both Omega and Ivalice and start moving somewhere with the story, which I feel has struggled a bit since the end of the main expansion. The straight shot of Stormblood was a great bit of storytelling, but the subsequent stories have felt much more like tying up loose ends, and it felt as if we had two patches building up Yotsuyu’s story because we didn’t get enough of it the first time through. So I shan’t be sorry to move on from these regions; it feels like we’ve been killing time for a while. Of course, this also means we’re going to start seeing more hints about the next jobs. Keep your eye on Yoshida’s shirts once we start in on the fan festivals; my personal speculation will wait until after 4.4 in mid-September. After that we’ll get 4.5 in late January, and you can probably bet on a midpoint patch in March and the expansion in June of 2019. Just wait for it. At the end of the day, what we need to come along in September and November both is something that’s been missing for a bit. We need some hype. 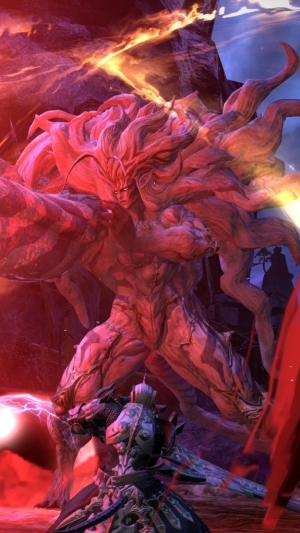 Regardless of how you feel about Eureka, it’s been a little hard to get hype about the game for a while simply because we all know how good it is at what it does. It’s not news any more. We’re not going to be surprised by the fact that the game has reliable schedules or great boss fights or astonishing roleplay support or any of that. All of this stuff is known now, and what the game really needs to provide players is a reason to get fired up again. We’ve been missing that for a while. September is a part of this because we need a story installment and such that’s going to have us wondering what happens next instead of one we already know more or less by heart. There were surprises in 4.3’s story, but most of them were of the “moving pieces in the right areas” sort; we need the “what the heck is happening, this is amazing” sort. We need a reminder of how far afield the game can go and what we can have crouching in the wings, in other words. So what will we get? I suppose we’ll see after the next live letter, which I’ll cover next week. Until then, feedback is welcome in the comments down below or via mail to eliot@massivelyop.com. Yoshida most recently looked like a Samurai but also with a Bow. So far Stormblood and post-Stormblood content has been… disappointing for myself and many other people. Yes, the main story been good, but after it ends – there’s still not much interesting stuff to do. Eureka “trains” are utterly boring and aggravating at the same time (as evidenced by multiple Reddit threads, some of which reached several hundred upvotes), the HoH can also become very boring very fast (especially for all people who run PotD multiple times) and few new dungeons/trial are, well, very few. Aside from all this “familiar” content, there’s been not much meaningful improvements to other aspects, such as PvP (which barely anyone plays now) or social interaction stuff – no new mini-games or improvements to old mini-games (to encourage people to actually play them), no good incentives for people to hang out at housing areas, no meaningful improvements to player-performed music (still can’t sync performance with other music players) and so on. I personally have found Stormblood to be so bad I haven’t bothered with the post main story content. I hope the new expansion is better, or I’ll probably drop 14 and never come back. I just hit 40 on my bard, but I accidentally power leveled myself to that with leave quests, side missions, and hunting objectives … so all of my main story missions are back in the 20-somethings. I probably should switch to one of my low level battlecraft classes while I get caught up, but I don’t really care about the XP as the only reason I am grinding out main story missions is so that I can unlock more dungeons to re-run for company seals (so I can get promoted fast and rent an apartment … but all I want to do with that is be able to change my Chocobo’s color & then I will go back to working on my production skills / get started on picking of some gathering jobs). So you grumbling about end game disappointments is mildly amusing, as my current issue with the game is getting frustrated with the cost of materials being like 100x the value of the end items & having to burn 60k (which is a lot for me) on Toad skins, knowing that my ROI is going to be 6k to 10k (at best). Grats on hitting 40 and really happy to hear you’re enjoying your time with the game :) Best of luck! Also, if all you want is to change the colors of Chocobo – just join a Free Company which has a housing with stable and ask to use it, most FCs won’t mind that. Joining FC will also help you level your crafting faster. Honestly the ‘talk to 3 npcs, now piss off’ “””event””” was just one more of Stormbloods many little let downs. I adore the game and its world but Stormblood just stretched itself so thin and it seems like in trying to please everyone and make content for everyone that just means everyone is getting something to log in during an update and then you just leave again. Its the golden saucer problem but for the whole game right now. It makes me worry about the next expansion, because when the game goes it goes but i have played so little of stormblood lately compared to playing ARR and HW just about every day of their lifespans. I would like to see them return to their bread and butter and maybe focus on two big gimmicks rather than constant ideas thrown at the wall to see what sticks. Maybe a pvp zone with quests and fates for quasi world pvp? or refocus on job quests like wow’s order hall? I just hate to think that a new expansion could come out and rather than excitement i’m just thinking ‘well gotta stay subbed or i lose my house.